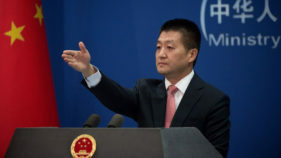 China voiced hope on Wednesday Donald Trump's sudden firing of Secretary of State Rex Tillerson will not impact bilateral relations or planned talks between the US president and North Korea's leader. 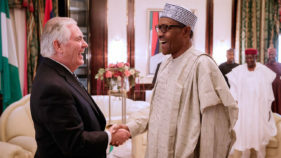 Barely 24 hours after his visit to Nigeria, Rex Tillerson was fired as the 69th United States Secretary of State.Tillerson was in Nigeria and Chad on the last leg of his maiden trip to Africa. 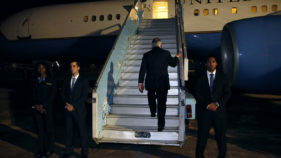 But he cut short his visit “due to demands in (his) schedule,” the State Department said. 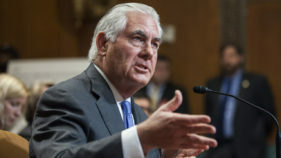 After he was sacked by President Donald Trump, Tillerson also said US efforts to pressure North Korea had worked better than expected and revealed he would pass authority to his deputy at midnight. 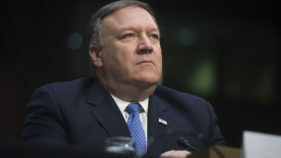 US President Donald Trump on Tuesday announced the departure of his top diplomat Rex Tillerson, to be succeeded by the current CIA chief Mike Pompeo. 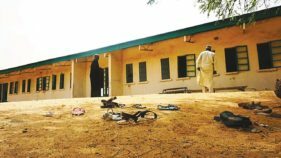 President Muhammadu Buhari yesterday declared that NIGERIA would prefer to have the Chibok and Dapchi schoolgirls abducted by Boko Haram back alive through negotiations rather than adopt a military option. 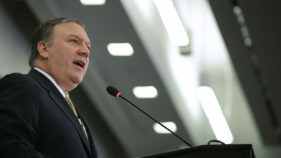 Secretary of State Rex Tillerson brought his truncated maiden Africa trip to a close on Monday, promising the full backing of the United States to two countries on the frontline of the war on terror. 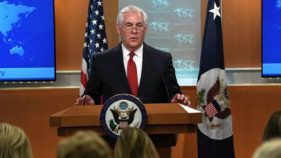 US Secretary of State Rex Tillerson on Monday slammed last month's mass abduction of schoolgirls in northern Nigeria and promised Washington's "full support" in the country's fight against Boko Haram jihadists. 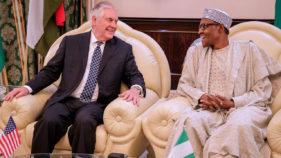 President Muhammadu Buhari on Monday met behind closed doors with the U.S. Secretary of State, Rex Tillerson, at the Presidential Villa, Abuja.The News Agency of Nigeria (NAN) reports that the meeting started shortly after Tillerson’s arrival at the State House, Abuja around 4.07 p.m.